Our management philosophy, as well as our thoughts and actions, are based upon our mission: creating opportunities is our challenge. We actively adopt the role of first mover to continually enhance our range of products. Even in established markets we always looking to open a new door, creating market niches through innovation and by broadening our offerings. 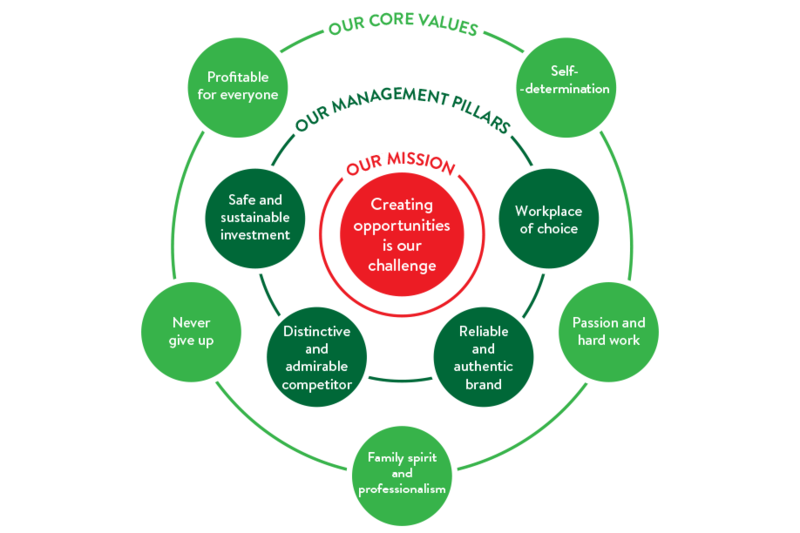 We live our mission guided by our core values and supported by our management pillars.